Be the first to know what’s happening in the village. it re-connects local producers and consumers. That’s why Whitbourne Village Shop is supporting and encouraging local producers and suppliers by sourcing as many products from within 30 miles as possible. And we are always looking for new local suppliers. Leave contact details at the counter and we’ll get in touch. Note that everything we sell has to meet stringent tests of quality, appearance, consistency and competitiveness. 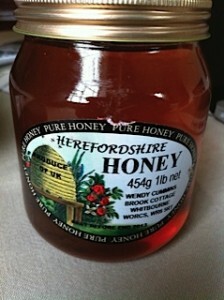 Week by week we aim to offer a taste of Herefordshire and neighbouring areas, including produce from Whitbourne itself. We run displays and demonstrations and provide recipes for you to try at home. If there’s a chance it will sell, we will stock what our customers ask for. There’s a suggestions box on the counter or you can email us. Our stock represents six years of customer requests plus a few ideas of our own. As well as all the basics, we stock a wide range of tempting treats – chocolates, cakes, ice creams, wine, beer and cider. There are local fruit juices and tomato juice, and lots of fresh fruit and vegetables. We are especially proud of our range of local produce including meat, cheese and fish from Gladwin’s in Bromyard, pork pies and sausage rolls from Knightwick Butchers and Coopers, beers from Teme Valley and Wye Valley breweries, not to mention ice cream from Bennett’s and sourdough bread from Peter Cook. That’s just to name but a few; why not call in to have a closer look? Copyright © 2019 Whitbourne Village Shop	.